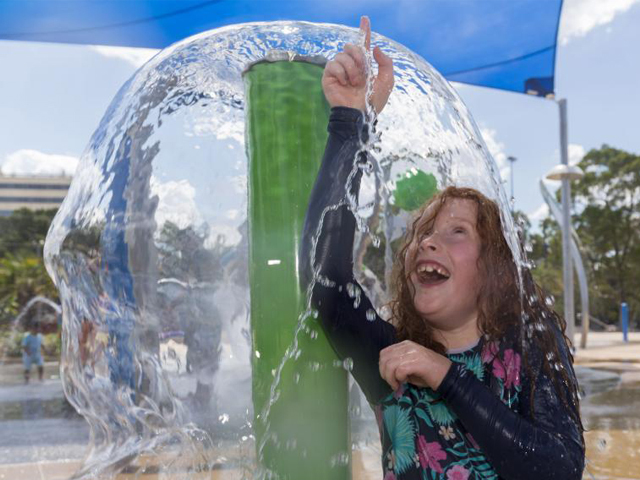 What was an old, rundown bowling club in Liverpool has now been transformed into a thriving, family-friendly park that features an exciting waterplay zone. 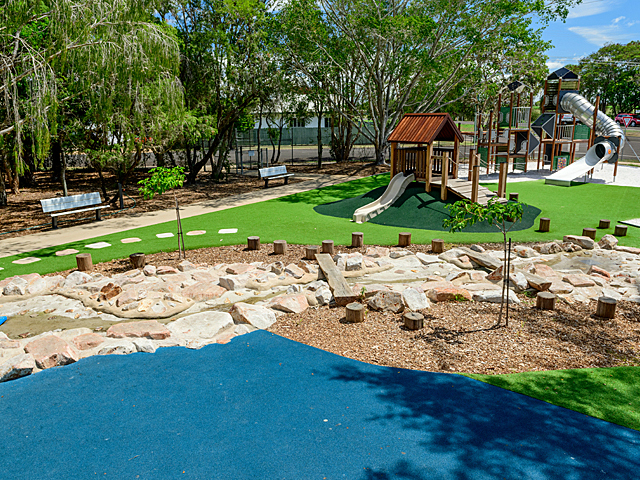 Find out what the team at Parkequip used to bring waterloads of fun to this new community space. 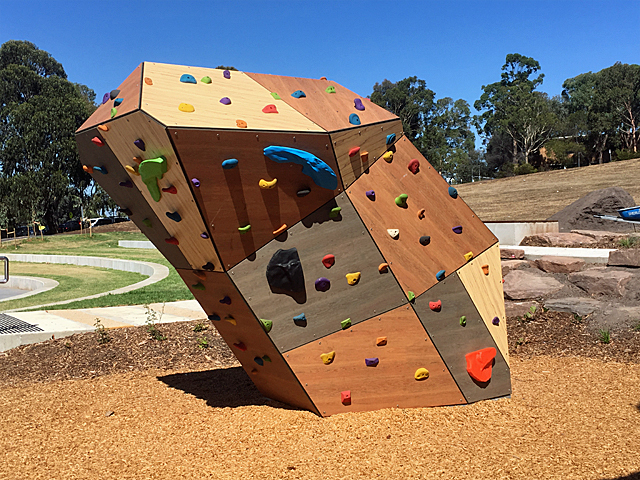 Parkequip’s recent project at Bigge Park has seen it transformed into an extremely popular outdoor space, increasing both tourist and local visitors to the area. Liverpool Council’s decision to replace the old Liverpool Bowling Club came on the back of a plan to revitalise the area for the community, especially in the hot summer months. 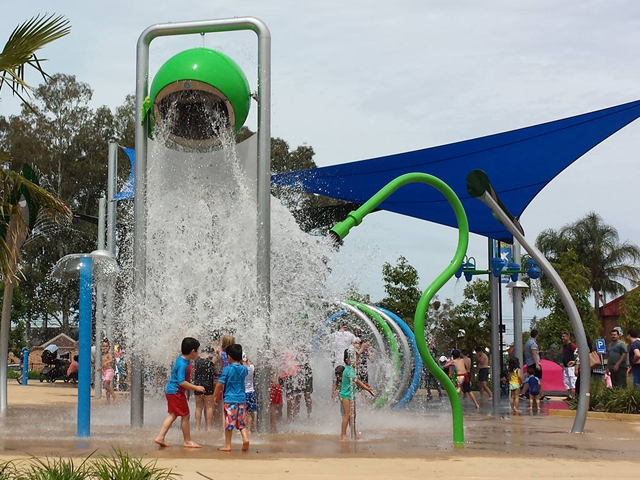 As the Liverpool area is quite far from the beach and features many high-rise units, the waterplay park has proved to be a successful and popular attraction. 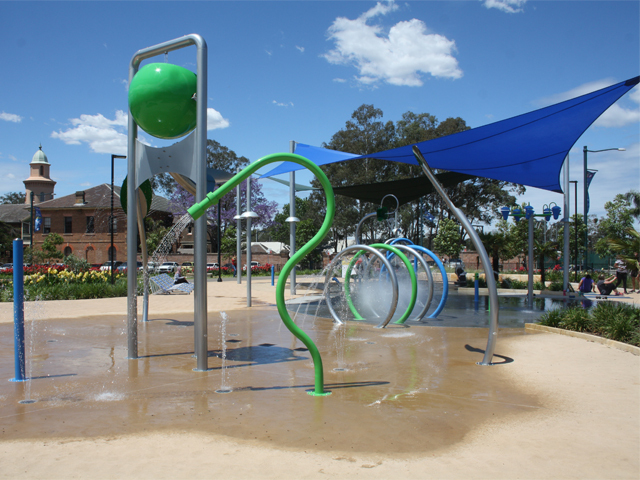 The key feature of the park is the zero-depth waterplay zone. 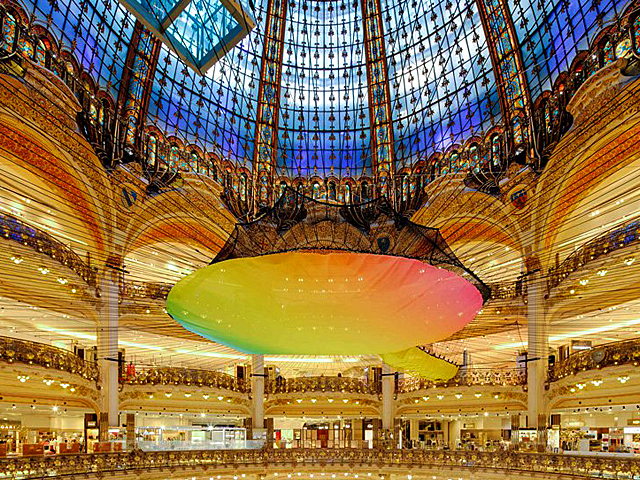 Three central attractions include a giant Mega Soaker Bucket that tips large volumes of water onto those below, a range of Water ‘O’s that feature in six round rings, and Cannons that kids can use to shoot water across the vicinity, all of which provide hours of refreshing fun. 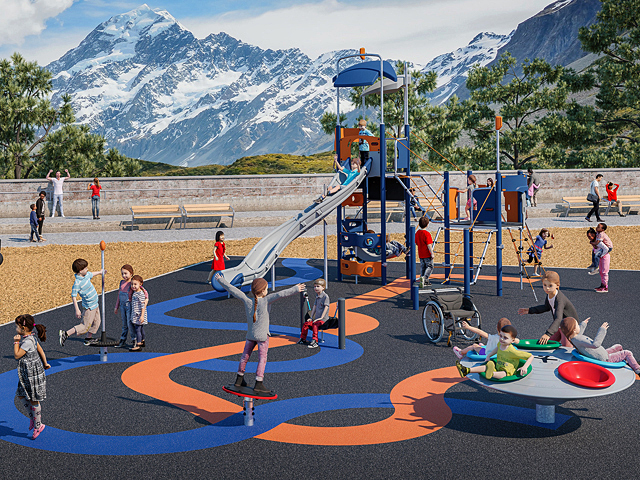 A variety of additional equipment is scattered throughout the zone, offering a range of fun activities that are sure to deliver cool relief on even the hottest days. The water is treated and recycled, just like any pool facility, so that parents can be assured of their kid's wellbeing. 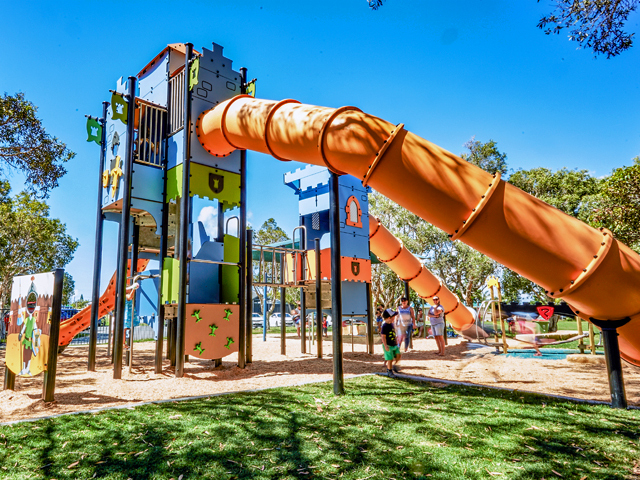 Themed in cooling shades of blue, silver and green, the equipment instantly calls to mind a calming, ocean-inspired atmosphere, and large shade sails strung overhead ensure there are plenty of places for visitors to take refuge from the hot Australian sun. Sun Lounges dot the surrounding area, providing sufficient seating for families to relax. 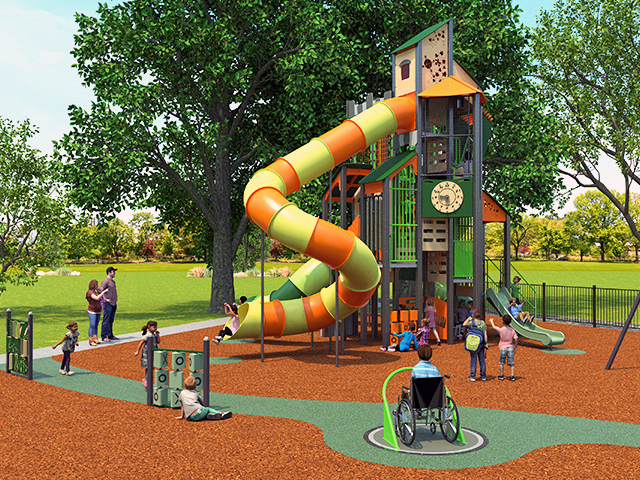 Parkequip is proud to add Bigge Park to their extensive list of waterplay projects. To find out more about their amazing products, call or visit their website via the links below.